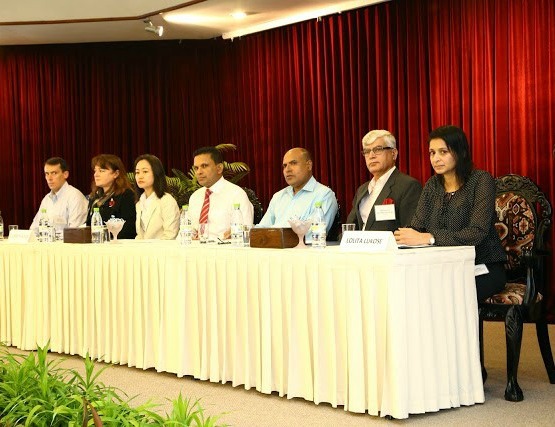 This 9th regional workshop for judges, prosecutors, and police officers in South Asia was jointly hosted in the Maldives by the Government of the Republic of the Maldives and the United Nations Counter-Terrorism Committee Executive Directorate, and organized by the Global Center on Cooperative Security, with the support of the Governments of Denmark and the United States of America. The overall purpose of the workshop was to enhance the counterterrorism capacities of law enforcement personnel in the region. The workshop was a follow-up to previous workshops (held in Dhaka, Bangladesh, in November 2009; Colombo, Sri Lanka, in June 2010; Semarang, Indonesia, in November 2010; Thimphu, Bhutan, in May 2011; New Delhi, India, in March 2012, Kathmandu, Nepal in March 2013, Islamabad, Pakistan, in October 2013, and Singapore in April 2014 respectively), at which participants indicated the need to examine in further detail areas of mutual interest relating to counterterrorism. Participants included experts from the member states of the South Asian Association for Regional Cooperation, resource persons from UN member states and relevant international agencies, and observers from the United Nations Office on Drugs and Crime.